Every since we moved into our 1930s Carthay Square duplex with its gorgeous hard wood floors and beautiful exposed beams I have become even more inspired to create environments that exude a calmness and serenity inspired by nature. 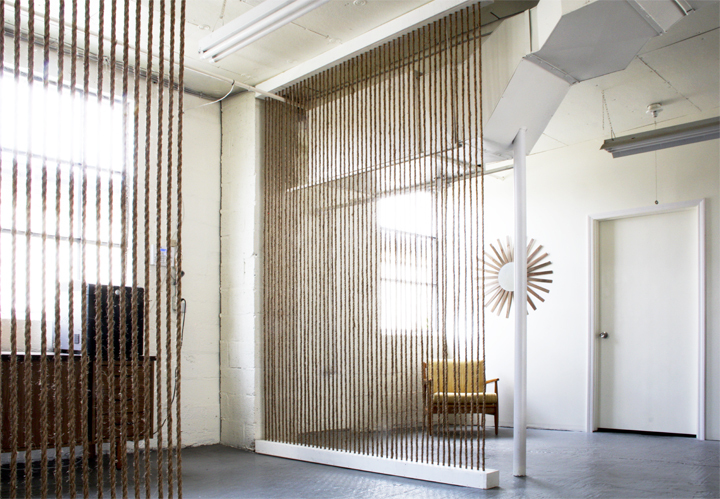 I find myself being increasingly drawn to reclaimed woods, organic materials and woven textiles. There is something so inviting about the slight imperfections. A worm hole on our table that makes our dinner plates wobble to and fro. A nub of fabric that catches my eye when my perfectionist tendencies get the best of me. 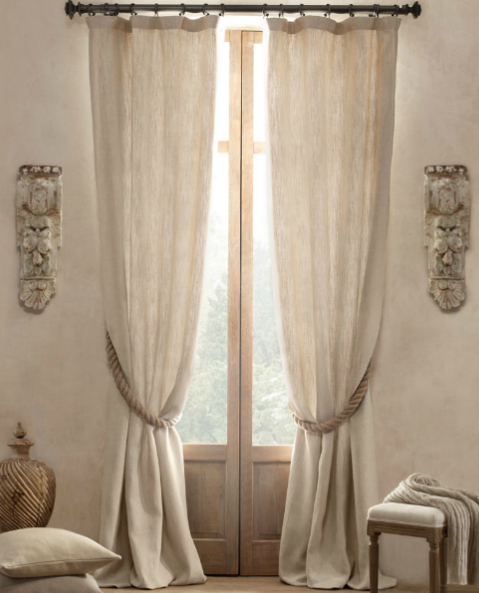 How the slightly rumpled linen curtains run the gamut of ecru to the palest ivory depending on the light. And my infatuation for the past year? Rope. A bit nautical, a smidgen industrial, a little bit country, yet still kinda chic. It just never gets old. From the casually chic rope ties at Restoration Hardware. To the marriage of form and function in this divider on The Brick House. 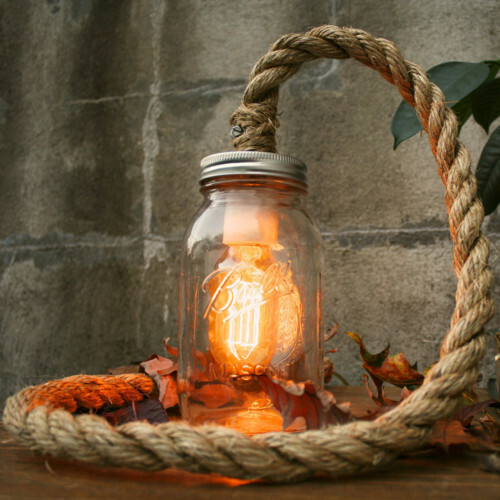 To this ultra hip combo of rope and a filament bulb from Format. 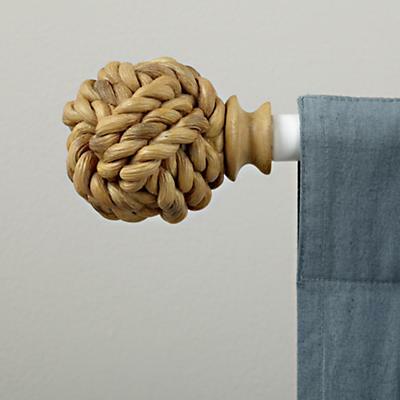 To these adorable rope finials from the super cute Land of Nod.